Wipe the tears from your eyes, the smoke has cleared and we have moved ahead to the mid-7th century to the mid-13th century. The city of Baghdad is a center of learning and innovations that rivaled Ancient Athens and Ancient Rome (6), a new intellectual epicenter has emerged! 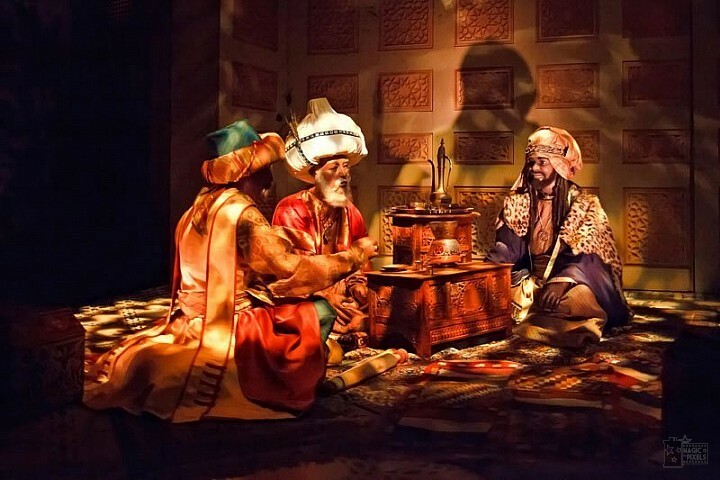 We happen upon muslim scholars presumably having an intellectual conversation which could have been about a variety of subjects including agriculture, the arts, economics, industry, law, literature, navigation, philosophy, sciences, sociology, and technology (1). 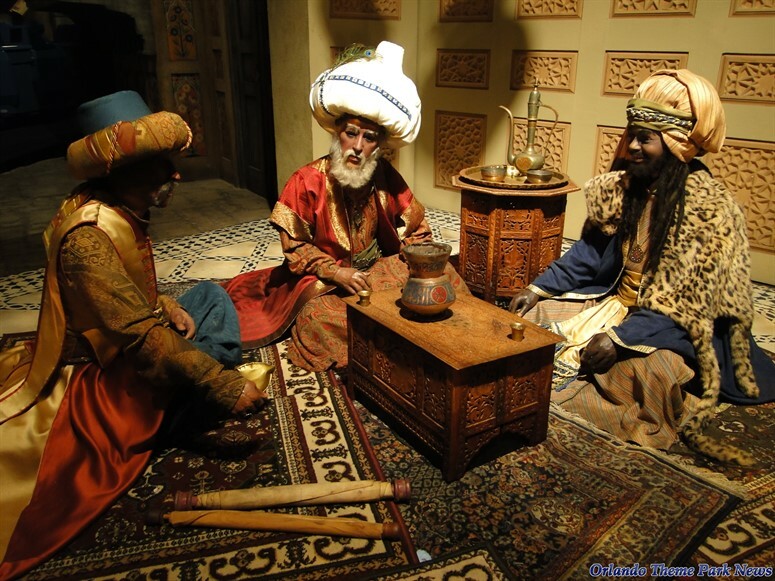 During this period, the people of the Islamic world including Jewish and Muslim scholars preserved earlier traditions from the ancient texts and added inventions and innovations of their own. Scene prior to 2008 refurbishment. Copyright Magic in Pixels. 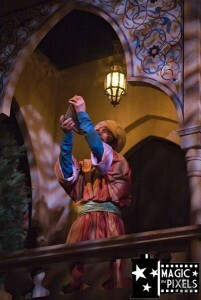 As the narrators of the ride imply, the “copies of these books” include many classic works of antiquity (Mesopotamia, Ancient Rome, China, India, Persia, Ancient Egypt, North Africa, Ancient Greece and Byzantine civilizations) (1) that would otherwise have been forgotten were translated into Arabic and later in turn translated into Turkish, Sindhi, Persian, Hebrew and Latin. In two centuries, the Islamic Empire extended its reach from Spain to the edge of India and shared these texts and ideas. Scholars sharing knowledge from scrolls post 2008 refurbishment. Copyright Orlando Theme Park News. New detailed lighting post 2008 refurbishment. Copyright Magic in Pixels. Scholars would often get together for “literary gatherings” and hold study circles at independent libraries to either share ideas or recite texts (2). With the latest 2008 ride changes we lost one scholar but gained more elaborate attire for the remaining three. Books were also replaced with scrolls, perhaps indicating that we are earlier in the sharing of information than originally depicted. Standing up high on the balcony on the right, an astronomer holds a quadrant reproduced from photos of a 10th century Islamic quadrant supplied by the Metropolitan Museum of Art (3). 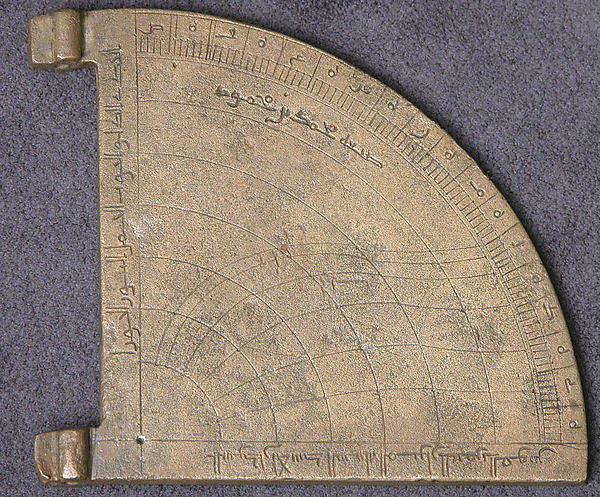 The Horary Quadrant is designed to give approximate readings of time and altitude of the sun. Detailed instructions can be found in this article in the Journal for the History of Astronomy. On the left is a library. In the previous version, the scene featured two men (one standing, one seated) who are reading. Our standing scholar took leave in our latest version and now presents a scholar deep in thought reading an ancient textbook (4). The Muslim Civilisation has held libraries as centres of knowledge with high regard. So widespread were public book collections that it was impossible to find a Mosque or a learning institution of any sort, throughout the lands of Islam, without a collection of books placed at the disposal of students or readers (5). The Muslim Civilisation had many techniques for each stage of book production: composition, copying, illustrating, binding, publishing, storing and selling. Reading books, as well as hearing them being dictated, became one of the major occupations and pastimes (5). Muslims were responsible for the transfer of papermaking from China, where it had been invented in the centuries before Christ, to Europe, where it fueled the print revolution in the late fifteenth century. Paper soon became standard for all books (6). Not only do we have a “back up” for the ancient texts but we have a method for faster dissemination of knowledge! Because animatronics are complex, time intensive to create, and expensive – its common to duplicate the models that are made and dress them differently. 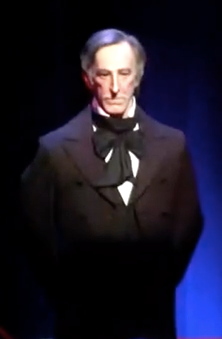 In this scene – The scholar in the front right from the pre-2008 refurbishment was said to also be the John Tyler from the Hall of Presidents (although this isn’t as easy to verify) (3). 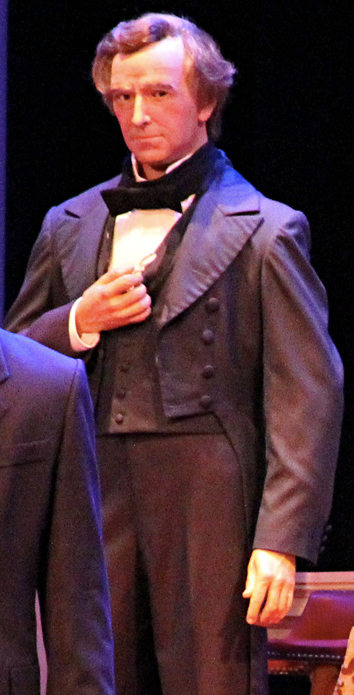 In addition, the sitting scholar is said to also be Franklin Pierce from the Hall of Presidents (3). It turns out there were copies of some of these books in the libraries of the Middle East, being watched over by Arab and Jewish scholars. Call it, the first back-up system. The books are saved, and with them: our dreams of the future. But all was not lost. 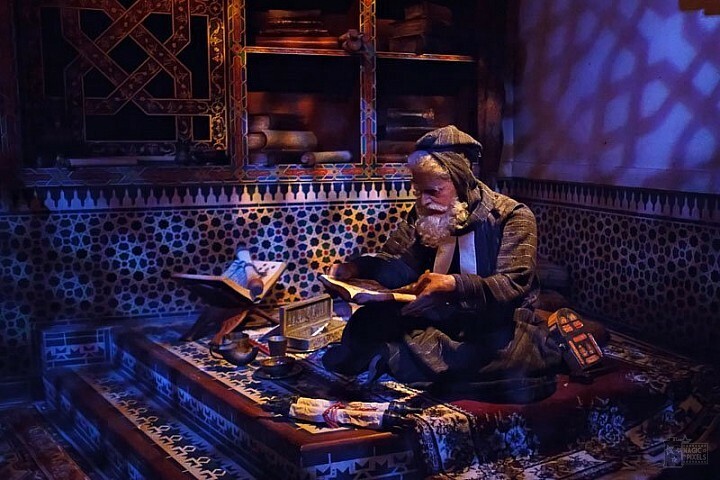 For far across the land, from Cairo to Cordoba, Jewish teachers and Islamic scholars continued the quest for knowledge. In libraries of wisdom, they debated ideas and shared new discoveries with all who would listen. 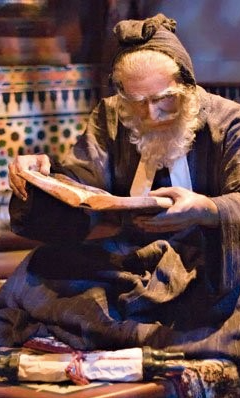 But all is not lost, for Islamic and Jewish scholars continue to preserve ancient wisdom in noble libraries. In their travels, they record knowledge, and share their findings with cultures East and West. 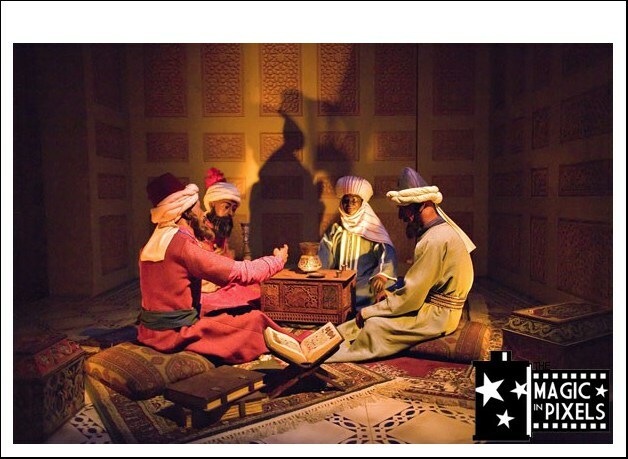 Far from the dying embers, Islamic wise men preserve ancient wisdom and weave a rich network of new knowledge linking east and west.